This is a brief study of the Concept of Saints in Islam, usually many of the people has different views based on their own thinking of the background, and the context in which they are usually teached throughout their life time. E.g, the concept of word ‘God’ is something else in the mind of a Christian, or anyone else, let me illuminate it a little bit more so we can understand this easily. Just like Christians, take ‘Christ’ in the form of a ‘god’ with big ‘G’, their ‘G-d’ is incarnated, ate, drink, lives among them, so they had a different view related to the word ‘God’, as for them,1+1+1= again 1. Another example, in western traditions the Angels are depicted as mostly ‘female’ forms and sometimes in ‘male’ form. Having wings, and a holographic around their head. This depiction is totally different from the Islamic perspective of the Angels, which you can read in other articles presented in the section of Angels. Such is the different between the concept of the Saint. So when we Muslims, we Sunnis, we Sufis say ‘Saints’, we are not in any case refering to that concept of ‘Western’ or ‘Christian’ or anyother Saint which they think. Ghairmuqalladeen’s favourite Badiuzamaan also gives important news as follows: “The result of love for the prophets and saints is as the Quran explains. That is, it will be both to benefit in the intermediate world and at the resurrection from the intercession of the prophets and saints, and also to profit abundantly, through that love, fromt he station and blessings that befit them.” (Risale-i-Nur Collection, Words; 32nd Word: Sixth Indication). The souls of believers in the intermediate realm are free. They see both believers in graves and those who come to visit them and hear them. Souls in the intermediate realm are of two kinds: Those in blessings and thsoe in agony. Ibn e Qayyam of (ghairmuqalladeens), said, the souls in agony do not find the opportunity to visit one another. They are like captives. But the souls that are not captive but free and in other words in blessings meet and visit one another. They exchange their views about the things that happened and that will happen in the world. Each soul is together with his/her friends who are at similar degree and rank with him/her as regards good deeds. And the soul of The Prophet (صلی اللہ تعالیٰ علیہ وسلم) is at Rafiul’l – A’ala (The Highest Friend). Unknowledgeable believer can not attain to Sainthood. Islamic knowledge is must for Wilayat whether he acquires it or he is divinely graced with it. So, no believer even a saint is immune from Shariah till such time he is sane. He who claims to be free from Sharia is no Wali but imposter. Such concept is misguidance and disbelief. However, Shariah is not applicable to that believer who has lost himself in the love of Allah (i.e., called Majzoob) i.e, he is no more in his senses. But it should be borne in mind that he will also not oppose the Sharia. Auliya Allah are the true viceregents of the Holy Prophet whom Allah Almighty has endowed with marvelous power to demonstrate “Kara-aamat” (kiramah, miracle, we will explain in detail….). Almighty Allah answers the supplications of His servants and meet their needs by the means of His saints. Their supplications benefit Allah’s creatures and their love earns believers the good in this world and the next world and Allah’s pleasures too. Visiting their shrines and attending their “Urs” (death anniversaries) bring blessings to the believers provided no act inimical to Sharia is done. Seeking help from Auliya is another topic which one can read in the section of Tawasul. In this verse, Almighty Allah has expressed the greatness and high status of the saints in this world and in the hereafter; that both this world and the hereafter have been made glad and mirthful for them. Almighty has granted them greatness in this world and has honored them in the hereafter. “Hazrat Abu Hurairah (رضی اللہ عنہ) (may Allah be well pleased with him) relates in the exegesis of this verse that the Holy Prophet (صلی اللہ تعالیٰ علیہ وسلم) said: The glad tidings of this world are pure dreams which a slave sees or others see about him (or her). The glad tidings of the hereafter mean paradise. 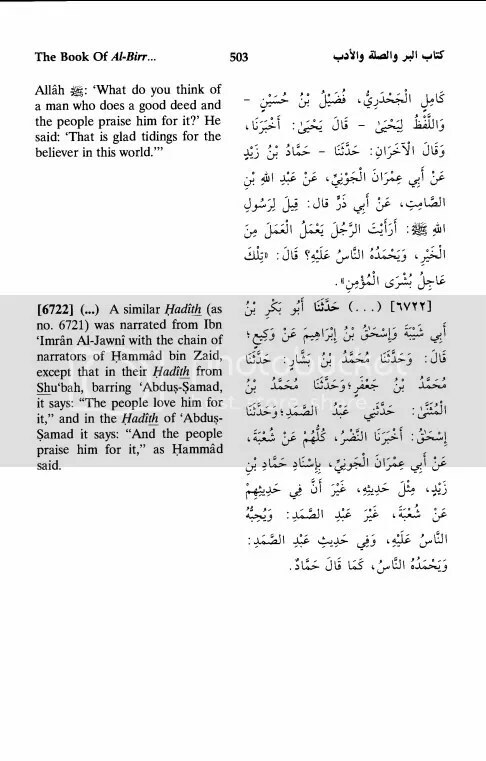 (Tafsir; al-Durral Manthur fi Tafseeril Maa’thur Under Surah Yunus 64). “These are the glad tidings which are given to the pious through the words of Almighty Allah and the blessed tongue of the HOly Prophet (صلی اللہ تعالیٰ علیہ وسلم). Honors are rained upont hem through pure dreams, divine inspirations and spiritual unveilings. They are given glad tidings through angels before their demise. The angels greet them in the hereafter. They are given glad tidings of peace and solace and of being granted success and honors. (Anwar-ut-Tanzeel lil Baydawi Same Surah). It is narrated on the authority of Hazrat Abu Zar Ghaffari (رضی اللہ عنہ), he says: The Holy Prophet (صلی اللہ تعالیٰ علیہ وسلم) was asked: What do you say about the person who performs good deeds and people praise him (or her) on that? The Holy Prophet (صلی اللہ تعالیٰ علیہ وسلم) said: They are the glad tidings which a believer receives expediatiously. 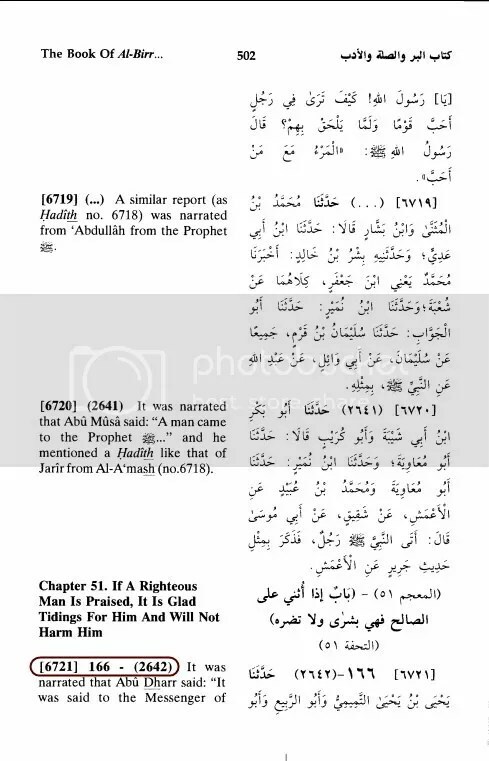 This hadith is also been recorded in Sunan Ibne Maa’ja Vol 3 Hadith Number 1105 graded Muttafiq Aleh & Sahih. 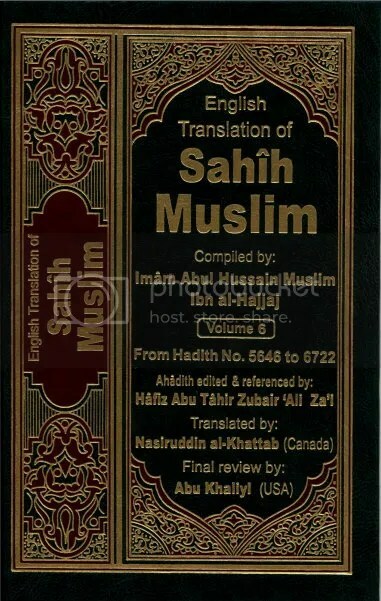 Darusallam Publications Version, Hadith  166-(2642), Pp 502/503 Vol 6 Sahih Muslim, Deobandi Version Kitab al Bir wal Sillata wal Aadab , Vol 3 Urdu P 701,702 Chapter 323, Hadith 2008, 2009 Pb, Idara Islamiyat karachi Pakistan. The scholars have said that the glad tidings received expeditiously means the reward of their good deeds which is a sign of the happiness that they will receive in the hereafter. Thus Almighty Allah says: Surah Hadeed 12. Translation: Hazrat Abu Huraira (رضی اللہ عنہ) relates that the Holy Prophet (صلی اللہ تعالیٰ علیہ وسلم) said: When Almighty Allah loves a person, he tells Jibreel (علیہ السلام): Allah loves so and so a person, you also love him (or her). Then Jibreel (as) also starts loving that person. Jibreel (علیہ السلام) announces in the heavens: Verily, Allah loves so and so a person, so you also love him. Then the Dwellers of the heavens start loving that person. Then that person’s renown is placed on the earth. Sahih Bukhari Vol 2 Hadith 469, Vol 3-998, 2378. Sahih Muslim Vol 3 Hadith 2204, 2205, 2206. Jamy Tirmidhi Vol 2, Hadith 1106. Just think over this! They are mentioned in the heavens. Their greatness is described in the spiritual realms. As they are the beloved of Almighty Allah, the angels love them and make them their beloved. This love doesn’t stop here, but it is placed on the earth and love for them is cast into the hearts of people. It is made clear by the details given the exegetes of the Holy Quran that not only the earthly life but the life of the hereafter of the saints is also prosperous. Eternal greatness will of course be given to them in the hereafter but Almgihty Allah has granted them good in this world as well. The mention of the saints – A panacea for diseases. Translation: The way abundance of Dhikr and profuse recitation of the Holy Quran is necessary for the seeker (Salik), in the same way it is necessary to keep going through the incidents of the saints! People asked Hazrat Junaid Baghdadi (رحمۃ اللہ تعالیٰ علیہ) as to what is the benefit to the seeker from the incidents and traditions of the saints. He replied: By the mention of the friends of Almighty Allah, the heart of the seeker is strengthened and by the blessings of the mention of the saints, the mercy of Allah descends. As the saints spend all their lives in serving Almighty Allah and spend each and every moment of their lives in remembrance of the Lord Almighty. Remembering Almighty Allah and meditating upon His wonders becomes their favorite pastime. Almighty Allah values them for this, grants them the reward of their worship and striving in the path of closeness to Allah and rains His blessings on them. It is narrated on the authority of Hazrat Abu Saeed Khudri (رضی اللہ عنہ) that the Holy Prophet (صلی اللہ تعالیٰ علیہ وسلم) said: A person before you committed 99 murders. Then he inquired about the greatest scholar of his times and he was directed to a recluse. He went to him and told him that I am the murderer of 99 human beings. Is there any way of repentance (tauba) for me? He said: There is no repentance for you! He murdered this reculse as well and consequently became the murderer of 100 huamn beings. Again, he asked about the greatest scholar of the age and was told about a certain scholar. He went to that scholar and asked: I am the murderer of 100 human beings. Is there any chance of repentance for me? The scholar said: Why not! What can come between you and your repentance? You go to such and such place. There some pious slaves of Allah are busy in His worship. You also busy yourself in worship of Allah along with them and don’t return to your place as evil people live here. That person started for that place. He was still on the way when death overtook him. In his last moments, when he couldn’t walk, he dragged himself on his chest towards the city of those pious slaves of Allah. At last he passed away. The angels of mercy and the angels in charge of punishment started arguing with each other as to who among them should take his soul. The angels of mercy said: This person had repented with a sincere heart and was coming to seek Allah’s pleasure. The angels incharge of punishment said: This person never performed any good deed. An angel in the guise of a human being came to them. These angels asked him to judge between them. That angel said: Measure the distance from the cities. Count him among the denizens of whichever city he is closest to (if he was closest to the city of those pious people, he will taken by the angels of mercy and if he was closest to the city of the evildoers, he will be taken by the angels incharge of punishment). The distance was measured and this person was closest to the city of the pious. Thus, his soul was taken by the angels of mercy. It is mentioned in Sahih Bukhari that Almighty Allah ordered the city of the pious to come closer and the city of evildoers to go farther.
) said: They love each other only because of Allah’s mercy, neither because of any personal relationship and neither because of any monetary dealings. 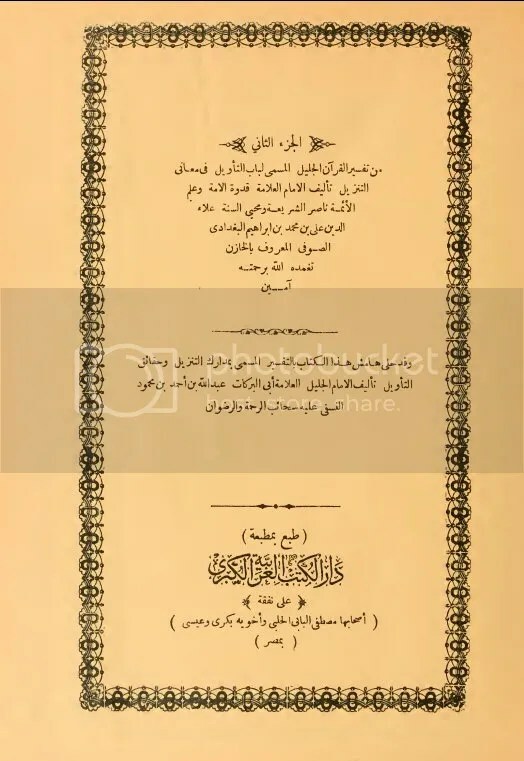 Mustadrik lil Hakim, Musnad Ahmad, Mojam Tabrani, Shuabal Imaan, Hilyatul Auliya Abi Nuaim, Ibne Asakar, Ibn Abi Dunya, Ibn Abi Hatim, More than eight times in Kanzul Ummal on the authority of Ibn Mardwaiya (kanzul umaal vol 9, page 6-9, pg 97). Jamy’ul Ahadith wal Maraseel, 3 times, Vol 1, P 330, Vol 3 P 152, Vol 18, 248, Majma-uz-Zawaid (Baab, al Mutahabben Fillah), Musnad al Haarith Vol 2 P 993. And there are also several of hundreds of ahadith which clearly sheds light upon the prestigeous status of the Saints. Miracles of Saints In the Light of Quran and Sunnah. The Holy Quran mentions them time and again. This elite group of the Ummah will be high stations in the Day of Judgment and they will be granted many bounty. However, in this world itself, to express their high status, Allah Most High has granted them some special characteristics and qualities, which distinguish them from others. In the interpretation of this verse, some exegetes of the Holy Quran have written that the “land” meant here is the land of Paradise, while some others have said it means the land of this world. Allama Ibn katseer (رحمۃ اللہ تعالیٰ علیہ) has written that the saints are the interitors of the lands of both, the Paradise and this world. Translation: Allah Most High is describing those things about which He has made the final decision for His pious servants that there are glad tidings for them in this world and the next and the land of this world and the hereafter is their inheritance. When Allah Most High has made them the inheritors of the land, then out of his extreme benevolence, Allah has granted them power and command, which is called as “Karamah”. Difference Between “Mujiza” and “Karamat“. “Moujiza” is the miracle, which is wrought at the hands of a Prophet and “karamat” is the miracle, which is expressed through the Saints. If any apparent miracle is expressed through a non-Muslim and irreligious person, then it is called “Istidraaj.” As given in Sharh Aqaid-e-Nasafi Page 144. Translation: It is narrated on the authority of Imam Shihab-u-deen Suharwardi (رحمۃ اللہ تعالیٰ علیہ), he says: Indeed! Various miracles are expressed through the Saints like they hear the divine voice (Hatif Ghaibi), they hear the voice of the inward (Batin) and recognize it, earth is rolled up for them and through the blessings of following the Holy Prophet (صلی اللہ تعالیٰ علیہ وسلم), they know of incidents before they happen. The miracles of the Saints are in fact the consummation of the miracles of the Prophets and their blessings. Allah Most High has made the Holy Prophet (صلی اللہ تعالیٰ علیہ وسلم), the last and final Prophet. Now there can be no Prophet. Until the Day of Judgment, everyone needs to believe in the Prophethood of the Holy Prophet (صلی اللہ تعالیٰ علیہ وسلم). Obviously, for those who embrace Islam, these miracles of the Saints make them come closer to Islam and facilitate their acceptance of Islam. For this reason, the miracles of the saints of this Ummah are far more in number than the miracles of the saints of the previous Ummah. The Holy Quran mentions the pious people and saints at many places. This verse of the Holy Quran explicitly establishes the miracles of the Saints. Hazrat Maryam (may peace be upon her) is not a Prophet, but a saint. Whenever Hazrat Zakariya (as) came to her, he would see various fruits near her. In summer, fruits of winter be found and in winter, fruits of summer. Ouf of season fruits and food/sustenance being present without any visible wordly means is the miracle of Hazrat Maryam (May Peace be Upon her). 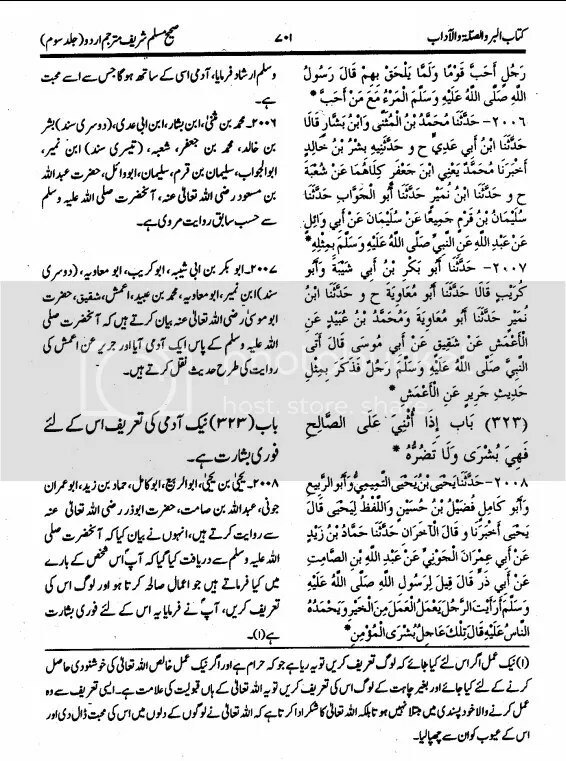 Here the incident of the people of cave (Ashab-e-Kahf) [whole story can be read in makashfa section] is being mentioned. These are those pious servants of Allah Most High who were asleep for 300 years. During this entire period, their bodies did not change at all. This whole period, they neither ate nor drank anything. Eating/drinking are the basic needs of the human body. No one can remain without this need being fulfilled. Let alone decades and decades, no one can remain even a few days without eating/drinking, but these pious servants of Allah Most High spent a period of 309 years without doing so. This is the miracle through the power of Allah Most High that the People of Cave spent a period as long as 309 years without eating/drinking. Their bodies were not affected at all and even the dog, which remaind at their doorstep, was safe. This is reality that the sun moves in its own orbit. It neither delays nor makes haste anywhere in its path. It does not swerve a haribreadth’s worth of distance from its path. This is the system of nature. In spite of all this, Allah Most High granted the People of Cave such excellence that for the whole time they spent in the cave, the sun swerved form its path. When it would rise on the earth, it would move to its right and while setting, it would move to the left, so that the rays of the sun don’t fall on them. This is a sign of the power of Allah Most High and miracle of the People of the Cave. Translation: The rising and setting of the sun in this way is against what usually happens and is a great miracle which Allah Most High has granted to the People of the cave. In this verse of the Holy Quran, a miracle of a follower of Hazrat Sulaiman (علیٰ نبینا وعلیہ الصلوٰۃ والسلام) is mentioned. When Hazrat Sulaiman asked his army that who among them would be able to bring the throne of Bilquis. A strong powerful genie said: I can bring it before you rise from your seat. Hazrat Sulaiman (علیہ الصلوٰۃ والسلام) said that the throne was wanted even sooner than that. Then Hazrat Aasif bin Barkhiya asked for permission and appeared with the throne within the blink of an eye. That throne was of gold and was bejeweled with various precious stones. It was installed in the innermost palace of all 7 palaces. The doors were locked. Guards were present. It is beyond carried such a heavey and securely kept thing from Yemen to Syria within the blink of an eye. Note: It sometimes really felt very interesting to think about those so called Atheist’s or others, who has a trend to reject One and Only Lord of the heavens, but If you talk in scientific language, the same people who does not believe in Jins, Heaven and Earths, Day of Judgment, hereafter, can be found intensively believing in Aliens, Reptiles or their ‘Scientific Concept of Other Dimensions’ or all other things. They had have firm belief in UFOs, etc, but If you ask them about God, they will reject. Translation: It has been narrated on the authority of Hazrat Abu Huraira (رضی اللہ عنہ), he said that the Holy Prophet (صلی اللہ تعالیٰ علیہ وسلم) said: Allah Said: Whoever bears enmity with My Friend (Wali), I declare war against him. My slave comes closer to me with no act more beloved to me than the obligatory acts of worship (Fardh) which I have assigned to him and my slave keeps coming closer to me with supererogatory acts of worship (Nafl), so much so that I start loving him. When I make him my beloved, then I become his ears with whom he hears. I become his eyes with which he sees. I become his hand with which he holds and I become his legs with which he walks. If he asks me for something, I surely grant it. If he asks me for protection, I surely grant it. If I want to do something, I don’t hesitate the way I wait before taking the soul of a Momin when does not desire it and I don’t like hurting him. This hadith shows the great excellenc and glory of the Saints. When the Power of Allah Almighty Himself works in their senses, then they have extraordinary faculties and abilites. They can grasp and help others their hands in ways that others cannot. They can see and listen to things that are too far away for others. They can cover huge distances in the blink of an eye. Syaduna Abu Bakr (رضی اللہ عنہ) had willed that after his passing away, his body should be placed before the grave of the Holy Prophet (علیہ الصلوٰۃ والسلام) and a request should be made: O Prophet of Allah! Abu Bakr requests to enter your presence. If the blessed doors open by themselves, then bury me by the side of the Holy Prophet (علیہ الصلوٰۃ والسلام), otherwise bury me in Jannatul Baqee. Translation: It has been narrated on the authority of Hazrat Abdullah bin Umar (رضی اللہ عنہ) that Hazrat Umar (رضی اللہ عنہ) had sent an army for a military compaign. He had appointed a person as the leader of this army, who was called “Saariya.” While Hazrat Umar (رضی اللہ عنہ) was giving a sermon, he started saying: O Saariya! To the mountain! After this, a message-bearer came and said: O Commander of the faithful! We were fighting against our enemies. They had almost defeated us. When we heard someone calling out: O Sariya! To the mountain! We stood with the mountain at our back and Almighty Allah gave them a crushing defeat. 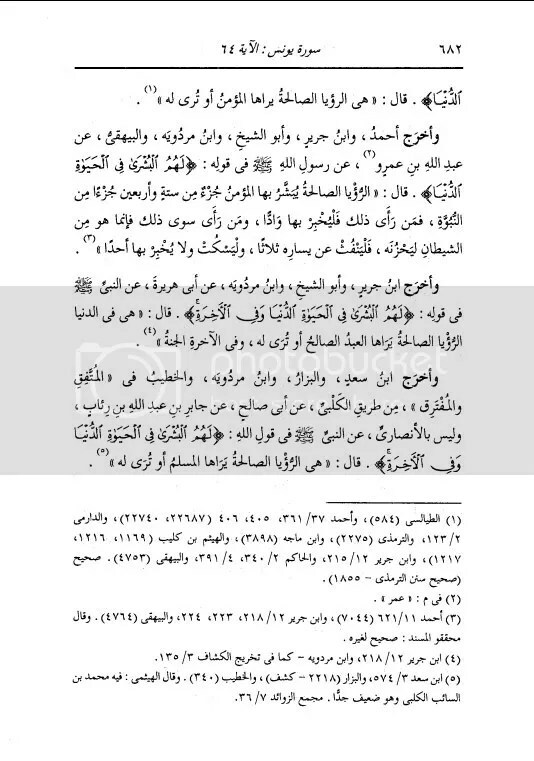 Note: You can see hundreds of references about this hadith in our Tawasul Section folder of scans library. This Tradition shows many miracles of Hazrat Umar (رضی اللہ عنہ). One is that being in madina, he saw a battle being fought in Nahavand (Iran, then Persia), another miracle is that he made the people fighting in Nahavand hear his voice without any apparent means of communication and yet another is that because of his intervention, victory became the lot of Muslims. Translation: When Egypt was conquered, the natives came to Hazrat Amr bin Aaas (رضی اللہ عنہ) and said: Indeed! This river desires one virgin every year and we throw one girl into the river. If we don’t do so, the river will stop flowing which will make the cities desolate and people will be struck by famine. Hazrat Amr bin Aaas (رضی اللہ عنہ) let this be known to the Caliph, Hazrat Umar (رضی اللہ عنہ). He sent a letter that Islam has declared former evils as wrong and sent him a chit on which he had written: I start with the name of Allah who is the most benevolent and the most merficul. From the slave of Allah, ‘Umar bin Khattab to river Nile…. O river! If you flow with the command of Allah, then start flowing with the command of Allah. He wrote that this letter should be dropped into the river. When it was done, the same night, the river started flowing with a water level 16-yards high and the level increased by 6 yards every year. [Ar Riyadh Un Nadhra Fi Manaqibi ‘Ashra, Al Babuth Thani Fi Manaqibi Ameeril Momineen Abi Hafs ‘Umar bin Khattab (رضی اللہ عنہ)). If there is a problem with the water level of a river or so, no one will write a letter to a river. If someone does it, then nobody expects that the river will follow the order and fulfill the needs. But here, what is happening is out of the ordinary. This is a miracle of Hazrat Umar (رضی اللہ عنہ) that he sends a letter to the river and the river follows its orders to the letter. And for sure, nobody can say he was superstitious. There are many miracles of Syaduna Usman (رضی اللہ عنہ), out of which only one is being detailed here. Imam Qadi Iyad Maliki (رحمتہ اللہ تعالیٰ علیہ ) has written in Ash-Shifa and Imam Nabhani has written in Jame’ Karamat ul Auliya that his person died because of this abscess. An Abyssinian slave who loved Syaduna Ali (رضی اللہ عنہ) committed a theft. He was brought to Syaduna Ali (رضی اللہ عنہ). Hazrat Ali (رضی اللہ عنہ) asked him: Did you steal? He said: Yes. Hazrat Ali (رضی اللہ عنہ) ordered that his hand should be cut. When that person returned from Syaduna Ali (رضی اللہ عنہ), he met Hazrat Salman Farsi (رضی اللہ عنہ) and Ibnul Kara. Ibnul Kara asked him: Who cut your hand? He said: The Commander of the Faithful, the great leader of the Muslims, the son-in-law of the Holy Prophet (علیہ الصلوٰۃ والسلام), the husband of Hazrat Faatima (رضی اللہ تعالیٰ عنہا). He asked him: Syaduna Ali (رضی اللہ عنہ) cut off your hand and you are praising him? He said: Why should I not praise him? He has cut off my hand as justice and has released me from the fire of hell. When Syaduna Salman Farsi (رضی اللہ عنہ) heard this, he conveyed this to Syaduna Ali (رضی اللہ عنہ). Hazrat Ali (رضی اللہ عنہ) summoned that Abyssinian slave and placed his blessed hand on his arm and covered it with a kerchief and recited some prayers. The narrator says: Suddenly, we heard a voice from sky: Remove the cloth from the hand. Lo and behold! By the will of Allah Most High and because of his devoteness, he was cured. (Tafsir-e-Kabeer Under Surah Kahf -9, Tafsir Naysaburi, Surah Kahf 9, Vol 5 Pg 69, Tafsir Siraj al Muneer, Vol 1 Pg 2227). 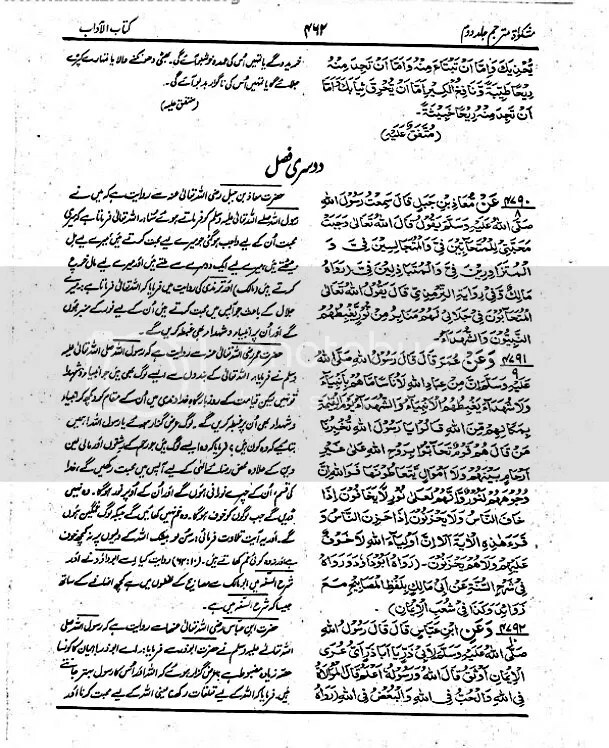 [Scans can be seen in tawasul folder]: Hazrat Imam Hasan (رضی اللہ عنہ) was going to Makkah by foot for Hajj. He developed swelling in his feet. His attendant requested him to take a mount so that the swelling of the feet lessens. Hazrat Imam Hasan (رضی اللہ عنہ) didn’t accept his request and said: When we reach our destination, you will meet an Abyssinian. Buy oil from him. His slave says: We didn’t find any medicine on the way and when we reached our destination, the Imam said: This is the slave about whom you were told. Go, buy oil and give him its price. When the slave went to buy the oil, the Abyssinian asked: For whom are you buying this oil? The slave said: For Imam Hasan (رضی اللہ عنہ). The Abayssinian said: Take me to him. I am also his slave. When the Abyssinian was taken to Imam Hasan (رضی اللہ عنہ), he said: I am your slave, I will not take any payment from you. You please pray for my wife. She is in labor and pray that Almighty Allah should grant her a healthy baby. The Imam said: Go home! Almighty Allah will grant you such a baby the way you want it to be and he will be our follower. The Abyssinian returned home and found the situation as he was told it would be. In this Tradition, various miracles of Imam Hasan (رضی اللہ عنہ) are related. One is the foretelling where the medicine for the swelling of the feet will be found. The second is the prayer that the Abyssinian will be granted a healthy baby and it became as he was told. The third miracle is that the Imam foretold that the baby will be a boy and will be a follower of Imam Hasan (رضی اللہ عنہ). 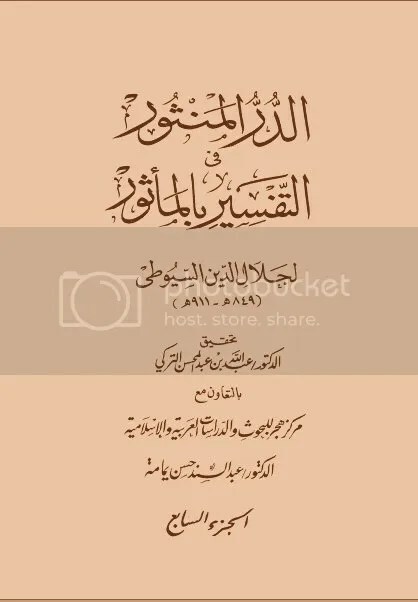 Translation: Abbas bin Hisham bin Muhammad Kufi narrates ont he authority of his father who narates on the authority of his grandfather, he says: There was a person in Karbala by name of Zara’a. This accursed man had shot an arrow at Imam Hussain (رضی اللہ عنہ) when he had asked for water and wanted to drink it. His arrow had come between the Imam and the water. The Imam supplicated: Lord, make him thirsty. The narrator says: A person who was present at the time of his death told me that this person was feeling a lot of heat in his stomach and coldness in his back because of which he started screaming and shouting although ice was placed on his stomach and fans were used and at the back an urn was placed. He would shout: Give me water. This thrist is killing me. Honey mixed with barley, water and milk was brought to him in such quantity, that it would suffice for 5 persons. He would gobble up everything and again cry out: Satisfy me. This thrist is killing me. At last, his stomach split open like a camel’s. Translation: When Abdul Malik bin Marwaan put Imam Zain-ul-Abidin (رضی اللہ عنہ) in shackles, Imam Zuhri (رضی اللہ عنہ) came to bid him farewell and tearfully said: I wish I was in your place. On this, the Imam said: Do you think these things hurt me? If I were wish to it so these things would never happen but that they remind me of Allah Most High. Then the Imam took his hands out of the shackles and again put them back in. Translation: Hazrat Shaykh Dimeeri (رحمتہ اللہ علیہ ) has written in “Hayaat Ul Haiwaan” that we have related a rigorously- authenticated narration that Hazrat Shaykh Abdul Qaadir Jilani (رضی اللہ عنہ) was once giving a sermon. Suddenly an eagle passed overhead and started making noises. The audience was troubled by it. Then Hazrat Abdul Qaadir Jilani (رضی اللہ عنہ) ordered the wind: O wind! Behead this eagle. That very moment its head fell on one side and its body on the other. The Shaykh stepped down from his chair and held it with his blessed hand and caressed it with his other hand and said: Bismillahir Rahmaaanir Raheem and the eagle immediately came back to life and flew away. All those who were present saw it. A person came to Hazrat Khwaja Ghareeb-nawaaz (رحمۃ اللہ تعالیٰ علیہ), but he wanted to hurt the Khwaja. The Khwaja divined his intention and said with a smile: Dervishes come to dervishes to clean their hearts not with the intention of hurting. Come! Fulfill the intention with which you have come. On hearing this, that man drew the weapon from his sleeve and threw it away. He immediately repented, embraced Islam then and there and became a true disciple of the Khwaja. On seeing this miracle, many people embraced Islam. Translation: Hazrat Shaykh Alaauddeen Attar (رحمۃ اللہ تعالیٰ علیہ) has said: I went to Hazrat Khwaja Bahauddin Naqshband (رحمۃ اللہ تعالیٰ علیہ) on a cloudly day. The Khwaja asked me: Has the time for Salat Ul Zuhr started? I said: No. The Khwaja said: Look at the sky! When I turned my sight to the sky, I didn’t see any veil and I saw that all the angels were busy in offering Salaat Ul Zuhr. Then the Khwaja asked me: Now what do you say? Has the time for Salaat Ul Zuhr started? I regretted whatever had happened and repented. Due to this for a long time, I felt a huge burden on myself. 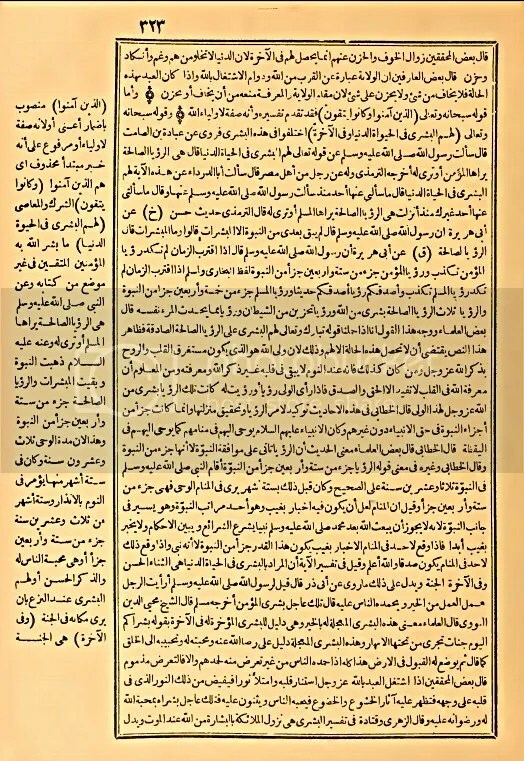 Translation: Hazrat Nooruddin Abdur Rahman Jami (رحمۃ اللہ تعالیٰ علیہ) has written in his book: Nafahaatul Uns Fi Hadhraati Ashabil Quds”: A saint has related a Tradition that while performing “Istelaam,” he was reciting the Holy Quran and finished one complete recitation of the Holy Quran until he came to Baab-e-Kaa’aba. 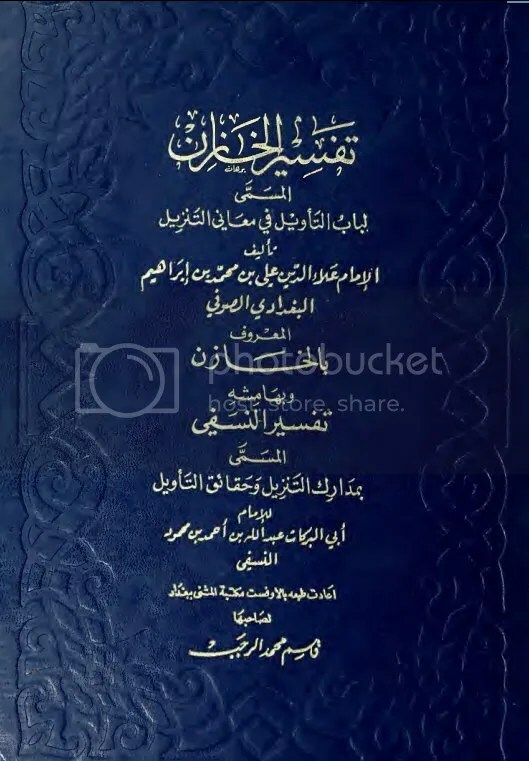 One son of Hazrat Shihab-ud-deen Suharwardi (رحمۃ اللہ تعالیٰ علیہ) has related that he heard each word and each letter of the Holy Quran from his father in the same time. May Almighty Allah keep us steadfast on the tenets of the Ahlu Sunnah and Guide us to lead our lives the way our saints and elders have led it. Ameen. There are basically 12 types of Awliya, Aqtaab (Plural of Qutub), Ghawth (Ghaus), Amama, Awtaad, Abdaal, Akhyaar, Abraar, Najabaa, Amada, Maktumaan and Mufridaan. There is only one Qutub-e-Alam (also known as Qutub al -Aqtaab) at any time who has two ministers with him. One is on the left side (because he receives Faidh from the heart of the Qutub-e-Aalam which is on the left side) and the other is on the right side (because he receives FAIDH from the Soul of the Qutub-e-Aalam which is on the right side). When Qutub-e-Alam passes away, the minister from the right side takes over, the minister rom the left side moves to the right side and one of the Badalaa (Plural of Abdaal) is promoted to the position of the minister. All Aqtaab are under Qutub-e-Alam who is on the Heart of the Last Prophet Muhammad (علیہ الصلوٰۃ والسلام). There are 7 aqleem (closest word: hemisphere) and 5 Walayats (closest word: domanion) on the globe that are ruled by these 12 Aqtaab. That is why these Aqtaab are further divided into Qutub-e-Aqleem and Qutub-e-Walayat. The FAIDH flows from the Qutub-e-Aaalam to Aqtaab-e-Aqleem, then to Aqtaab-e-Walayat and then to Awliya. Qutub al Aqtaab is so powerful, that he can terminate/appoint any Wali including Aqtaab. Next after him (the right one) is known as Qutub Abdaal and the Qutub after Qutub Abdaal (the lef to Qutub al Aqtaab) is Qutub Irshaad and then comes Qutub Madaar. There are more categories of Aqtaab, such as Qutub e Mutawakkalaan, Qutub-e-Auliya (Qutub e Walayat Mutlaq), Qutub-e-Zahaad, Qutub-e-Abaad Alag, Qutub-e-Urafaa etc. The details of these categories is given by Hazrat Sheikh Muhay-u-deen Ibn-e-Arabi (رضی اللہ عنہ) in his book Fasal al-Khitab. Shuyukh such as Hazrat Sayyid Ali Hajweri (رحمتہ اللہ علیہ), Hazrat Shaykh Aala-ud-een Daula (رحمۃ اللہ علیہ), Ibn-e-Arab (رحمتہ اللہ علیہ), Jaami (رحمتہ اللہ علیہ), ‘Abdul Rehman Chishti (علیہ الرحمۃ), have all written about the Taqween in detail. Qutub e Irshad is the head of 70 Najabaa, 300 Naqabaa, 500 Akhyaar and 25 Abraar, Qutub-e-Madaar is the head of 4 Awtaad and Qutub e Abdaal is the head of 40 Abdaal. 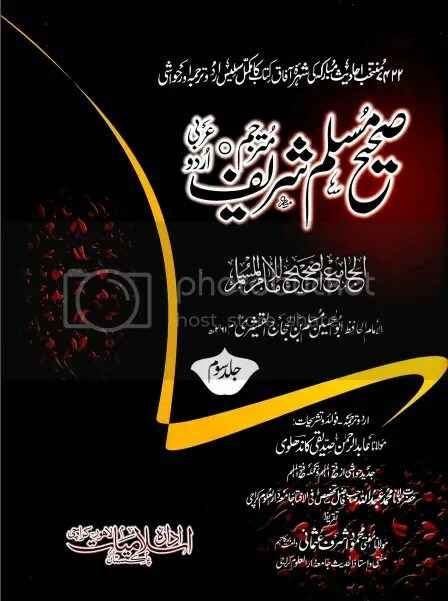 This seventh Abdaal is ‘Hazrat Khizar’ (علیہ السلام). The spiritual name of Qutub – al – Aqtaab is Abdullah and is on the Heart of Hazrat Israfil (علیہ السلام), the right side minister is Abdul Malik and the left side minister is Abdur Rab. Usually Qutub-al-Aqtaab covers upper ranks and becomes one of the Afraad. There is another group of 357 Abdaals out of which 300 are on the Heart of Hazrat Aaadam (علیہ الصلوٰۃ والسلام). They live in isolation in mountains and eat Leaves and Animals. This is also mentioned in a Hadith by Hazrat Abdullah Ibn Masood (رضی اللہ عنہ ) [This hadith is mentioned by Hazrat Abdul Rahman Chishti in his book Mirratul Israar]. According to this hadith, 40 Abdaal are on the Heart of Hazrat Musa (علیہ الصلوٰۃ والسلام), 7 on the Heart of Hazrat Ibrahim (علیہ الصلوٰۃ والسلام), 5 on the Heart of Hazrat Jibril (علیہ الصلوٰۃ والسلام), 3 on the Heart of Hazrat Mikaeel (علیہ الصلوٰۃ والسلام), and 1 on the Heart of Hazrat Israfeil (علیہ الصلوٰۃ والسلام). When this 1 Abdaal passes away or gets promoted to upper ranks, one of the 3 from the 3- Abdaal group getts promoted to this position. The gap in the 3-Abdaal group is filled by one of the five. The gap in the 5-Abdaal group is filled by one of the 7. The gap in the 7-Abdaal group is filled by one of the 40. The gap iin the 40-Abdaal group is filled by one of the 300 and the gap in the 300-Abdaal group is filled by one of the Zahaad. This gives us a total of 356. Unfortunately, none of the sources mentions anything about the rest 1 Abdaal. The remaining 40 Abdaal (out of 404) are very active. According to a Hadith, 12 permanently reside in Shaam (Syria) and 28 in Iraq. The details are given in Mirratul Israar, Lataif-e-Ashrafi and Kashful Mahjub. Syed Ali Hajweri (رحمتہ اللہ تعالیٰ علیہ) calls these 40 Abdaal as Abraars. The spiritual name of the 300 Naqabaa is ‘Ali, the 70 Najaba is Hasan, the 7 Akhyaar (Akhyaar do not reside anywhere and constantly travel) is Hussain and the 4 Amadaa is Muhammad. There is only 1 Ghawth is, usually (not always), the Majawar (closest word: Care-taker) of Kaa’ba. 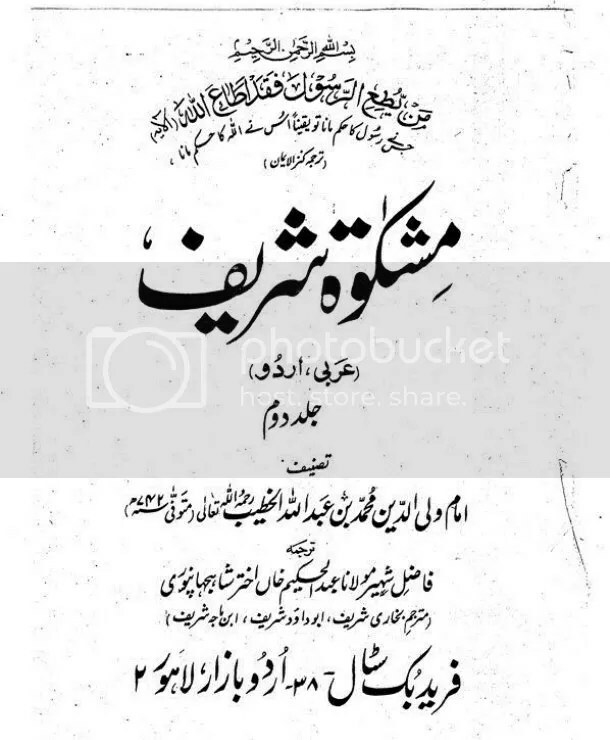 Syadi Ashraf Jahangir, Ghawth of his times, states in his book Lataif-e-Ashrafi “Majavary is not mandatory for a Ghawth. Allah gives the Awliya-e-Akmal, the power of appearing in multiple places at the same time.” Amadaa who is replaced by one of the Akhyaar who is replaced by one of the Najabaa who is replaced by one of the Naqabaa who is replaced by one of the ordinary persons. Syaduna Ali hajweri (رحمتہ اللہ علیہ), in his famous book Kashful Mahjub, says that Maktumaan, are the “Hidden Awliya” who are not aware of themselves and cannot recognize each other. Hazrat Ashraf Jahangir, in Lataif e Ashrafi, says that only “Mauhid Ahle Baatin” can recognize them. According to Haal-e-Safar by Professor Bagh Hussain kamal, each level has 100 times the power of the level immediately below it. In other words “1 x Tawajjuh” of a Ghaws is equal to the “100 x Tawajjuh” of the Qutubl Aqtab. He gives the followin hierarchy. In general, it is believed that there has been only one Abd so far: and that is Syaduna Abdul Qaadir Jilani (رضی اللہ عنہ), second will be Imam Mahdi (علیہ السلام) and there is no third. Note: Some consider their Shaykh to be an ‘Abd, like we consider many Chishtiya Mashaikh to be Abd but this is a Silsila- specific belief. The case of Syaduna Abdul Qaadir Jilaani (رضی اللہ عنہ) is different. Majority of Mashaikh (رحمہم اللہ) from almost all Silaasil have accepted him to be “Sardaar ul Awliya (Leader of the Saints)”. Although there have been exceptions to this belief, but because the majority has accepted him to be, so it is an Ijmaa. Similarly, like our Saifi friends believe their Shaykh to be an Abd, our Awaysi Kamali Sufi order friends consider their Shaykh to be an Abd and our Tijani friends consider the Silsila founder to be a Khatam. Some of the Mujaddidi friends believe that the whole hierarchy will ALWAYS stay in Mujaddidids. We would like to say away from this debate.